Roxanne Pallett has reportedly been dumped by her fiance Lee Walton. The former Emmerdale star, 36, has been keeping out of the spotlight in the aftermath of her ill-fated Celebrity Big Brother stint, in which she falsely accused Ryan Thomas of punching her with intent. A source told The Sun that Roxanne is 'gutted' following the split, and her personal and professional life has 'fallen apart' in the past six months. A source said: 'Roxanne's whole life appears to have fallen apart in the past six months. Professionally, no one wants to touch her and now her personal life is in tatters. It's now believed that Lee moved on with a new woman, as he reportedly took a mystery blonde to a birthday dinner with his parents last week. MailOnline has contacted Roxanne's representatives for comment. The couple's love story began back in 2017 when they met online. After chatting every night, they decided to meet in December before becoming engaged just one week later. The soap starlet said her steel worker beau, 40, spontaneously popped the question without a ring, just days after their first date at a local pub. Speaking of the exact moment, Lee said: 'She was getting ready and dancing and I said: "I could get used to this. Move in with me?" 'She agreed and on our first night living together I was looking at her, thinking, God I love you. And then I just said: "Will you marry me?" Lee stood by Roxanne during the backlash from her Celebrity Big Brother appearance last summer, when she falsely accused Ryan Thomas of punching her with intent. 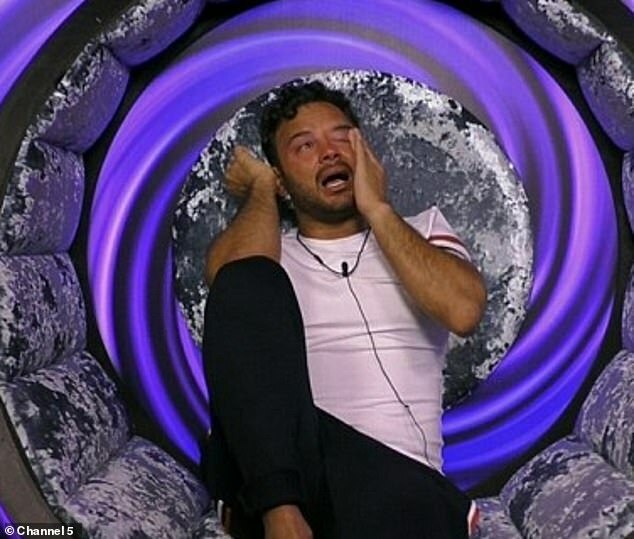 She branded him a 'woman beater' before going to the Diary Room to demand Ryan be removed from the house. He was issued with a formal warning, but Roxanne claimed to be afraid of him, asking to sleep in a separate room that evening and seen crying and shaking. She then told her fellow housemates that he had 'repeatedly hit her in the ribs', which led them to confront him about it. On eventually understanding what took place, the housemates backed Ryan, with Roxanne leaving the show. After her exit from the Channel 5 show, Roxanne returned for a pre-recorded interview with host Emma Willis to apologise for the incident. Echoing much of what she said when she appeared on current affairs show Jeremy Vine, Roxanne began her interview by saying: 'Watching [the clip of what happened] feels like a completely different scenario to how it felt at the time. Sun 28° Aries 37' 28"
Moon 21° Libra 49' 20"
Mercury 02° Aries 08' 14"
Venus 27° Pisces 55' 46"
Mars 12° Gemini 19' 21"